For the Dad who has everything (because he has you in his life) another keychain and tie just won't cut it this year. 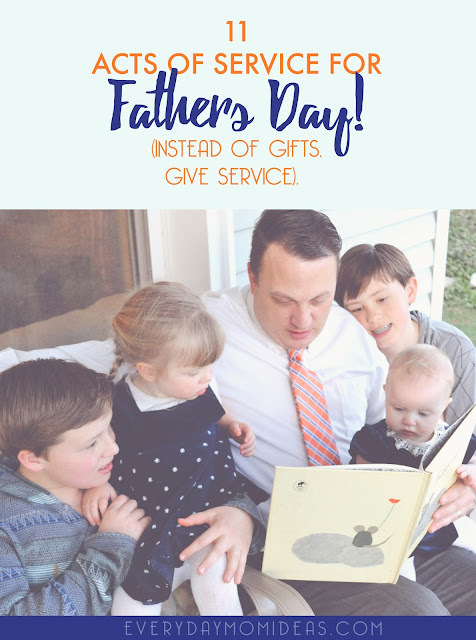 Give your dad what he really wants this year and shower him with love and acts of service he can really use. Iron all of dads button up shirts and slacks. Just about any dad would appreciate having all his nice shirts and pants freshly pressed and ready to go especially if he usually has to iron his own clothes. Bonus: Throw in some freshly polished shoes to for an extra Fathers day treat. Deep clean the car dad drives the most inside and out. This is a great inexpensive act of service that the kiddos can do right in the driveway or head to your local carwash for a quick clean out. Bonus: Throw in a fun car freshener or polish the dashboard and vinyl. Let Dad sleep in. Everyone in the house go for a long morning walk and let dad sleep in a little longer to a quiet house. Bonus: Bring back breakfast for dad. Heart Attack the Car that is. Write little letters of how special dad is to you and tape them all over inside dads car alone with paper heart cutouts. Bonus: Added chocolate kisses and other favorite treats of dad. Let dad pick everything for the day. Dad gets to pick all the TV shows or movies to watch. He gets to pick the food and snacks we have. He gets to pick the family board game. He gets to pick the family activity. Put a little program together of songs, poems, short stories jokes and/or a musical number that celebrates what dad means to each family member. Have each family member contribute one act in the show. Or Put together a mini slide show of your favorite pictures of dad from the last year since last fathers day. Bonus: Put music to it and have popcorn and snuggles. This one takes some forethought but its simple and would be perfect for next years fathers day. Get a special small notebook and everyday and/or every time your dad does something thoughtful or great, through out the year, write a sentence or two down in your "Dad Gratitude Journal". Next Father's Day give him the journal as a gift. Only amazing things can come out of a gift this thoughtful! Bonus: Keep the Dad Gratitude Journal a secret so he won't know its coming. Dads love massages too. Take turns giving dad a back massage, head massage, foot massage/soak and face massage. Bonus: research how to do these massages more properly first and get some techniques down before trying out on dad. 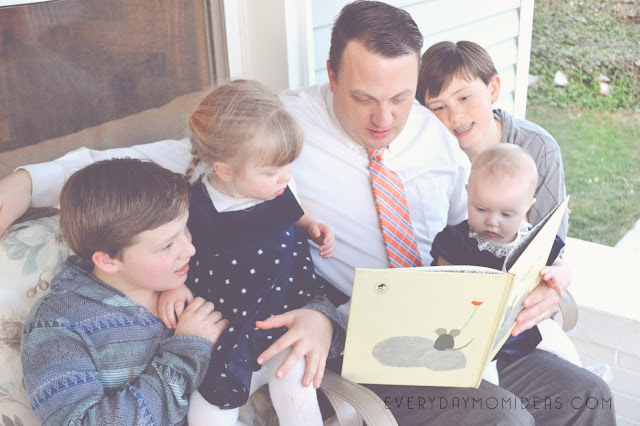 Let dad have a couch potato day where the Honey-do list is thrown out the door for the day. Bonus: make it a pajama day as well. Sometimes all parents want when their kids start to get older is a little more face-time. Put away the devices for a day and give your full effort and attention to dad and spending time together as a family. Try to think of fun off-the-grid activities to do. Just about every dad has a project he is working on or has always wanted to have done. Round up the loved ones and get ready to put in some elbow grease. Completing a big family project just for dad will be something he will remember and cherish for years to come. Help dad have an awesome Fathers day by trying your best to have a great attitude. Try to be extra kind and patient with your brothers and sisters. Be quick to forgive and quick to give a compliment. Don't complain. Try to remain upbeat and positive. You can give your dad all the gifts in the world but if you are not doing it with heart and a genuine smile it won't mean anything.